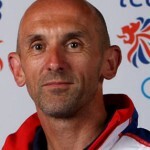 UK Athletics has today named Peter Eriksson as the newly appointed Olympic Head Coach. 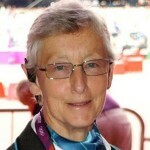 Eriksson has been an integral part of UKA’s 2012 Task Force, the group set up by CEO Niels de Vos following the Beijing 2008 Games to deliver improved medal success in London. Since his arrival in 2009 he has been working alongside Performance Director Neil Black and the outgoing Olympic Head Coach, Charles van Commenee. 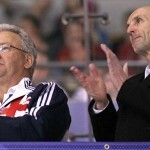 Eriksson said: “It is a great privilege to be asked to take on this role. 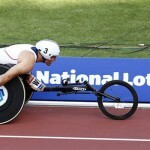 I will continue with the methods and approach that has proved so successful in the Paralympic arena, and that has been about strong performance management of our best medal prospects to maximise the likelihood of medal winning performances. “I have such a lot of respect for Peter and what he’s achieved,” she said. “I’ve been in the fortunate position where I was with him over the summer at the Paralympic Games holding camp and I was struck by the fact that he did whatever he could do get the best out of the athletes – he had a real no-nonsense approach and was totally focused on winning medals.